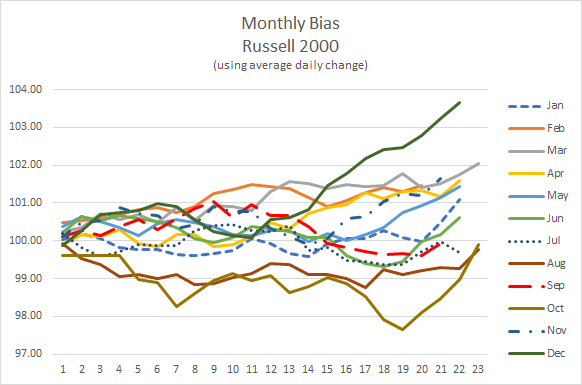 An analysis of daily price change since 1973 tells us that there are some certain seasonal biases in the market. Major U.S. indices show a greater probability of advancing in some months as compared to others. There are many reasons for seasonal or monthly bias in equity market. We will review some of them in future posts. The post below tries to establishes such bias using technical analysis. September is the worst month for S&P 500 (Chart 1). Since 1973, the index had been up only 43.2% of times in September. The average monthly return is also lowest in the month for Virgos. The average monthly return is lower than the median monthly returns. This shows that the distribution has a negative skew. In other words, in some of the past Septembers, the declines were substantially greater. The next worst month is July with 46.7% probability of a positive return. However, the average return in the seventh month is positive, although, the median return is negative. 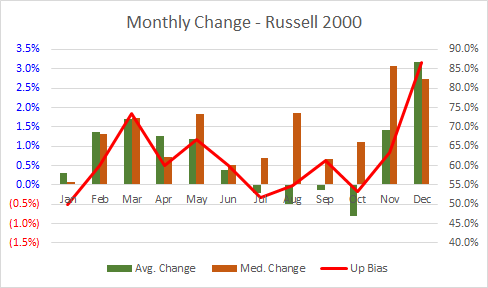 The only other month with a negative average return is August but it has greater than even chance of being a positive month. 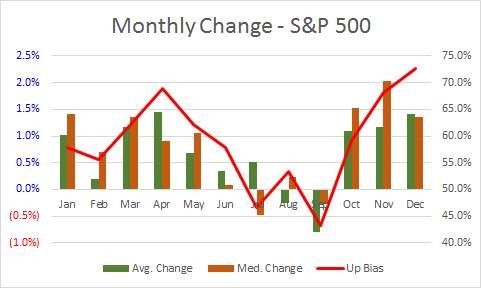 The S&P 500’s performance declines from April to September as its probability for a positive monthly return falls. The reverse is true from October to December. 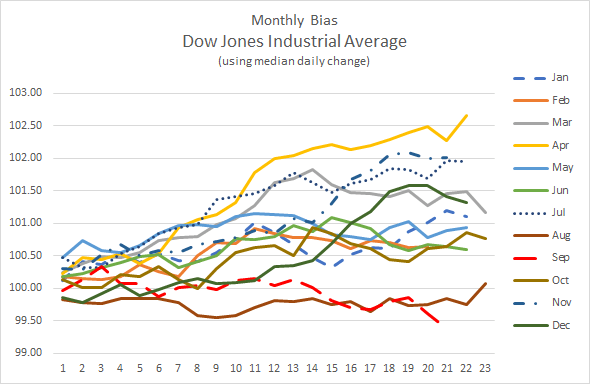 September is also the worst month for Dow Jones Industrial Average (Chart 2) though the magnitude of its decline is greater than that of S&P 500 in September. 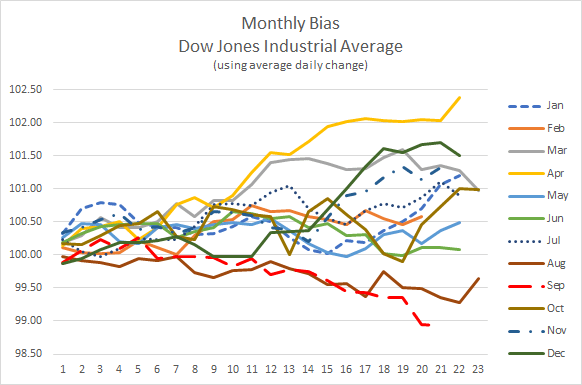 DJIA also declines more often in September with only 37.8% chance of closing the month with positive return. 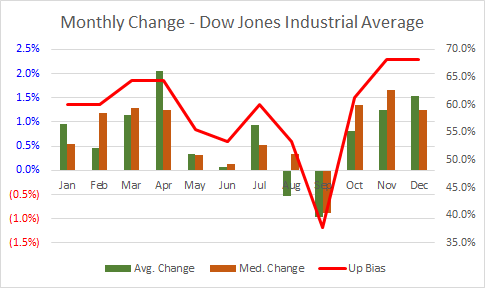 DJIA’s September distribution is also negatively skewed but the spread between the mean and median not as big as that for S&P 500 – -1.0% to -0.9% for DJIA and -0.8% and -0.2% for S&P 500. 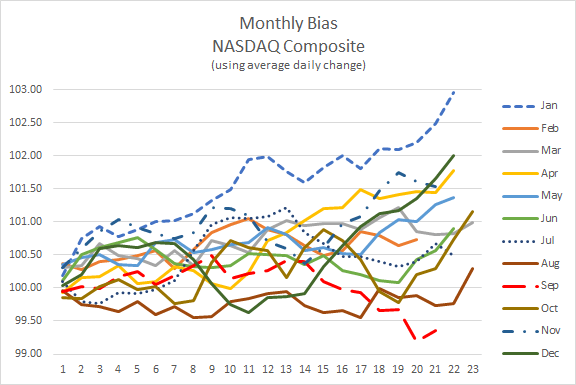 September is the worst month for NASDAQ Composite (Chart 3) too but less than that for S&P 500 and DJIA. NASDAQ’s median return in September is positive but the average return is negative. It is the only negative month for the technology heavy index. 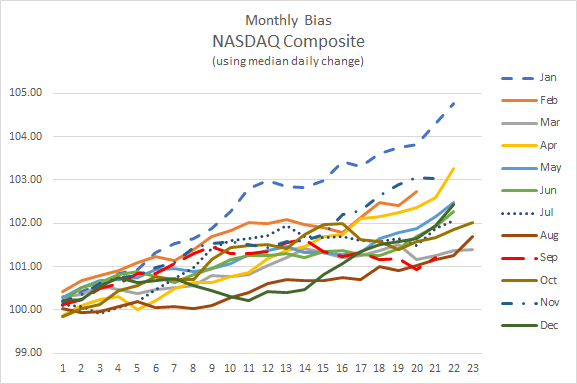 NASDAQ’s average return in September is -0.5% but it has 55.6% chance of being positive in the month. 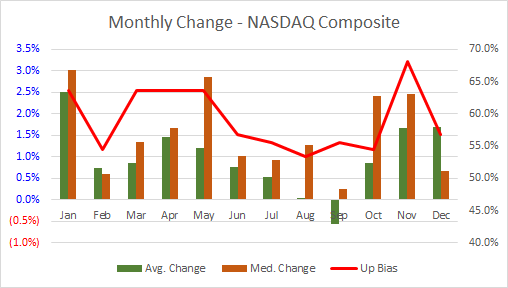 NASDAQ has lower probability advancing in August than in September but its average return is higher. 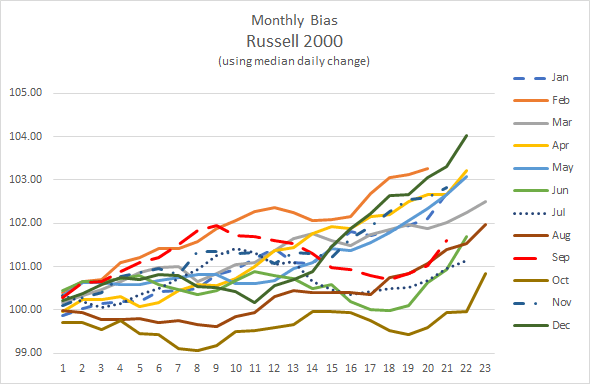 The worst month for Russell 2000 is October. The average return of the small-cap index in the tenth month is -0.8%. The next worst is august with -0.5% followed by July with -0.2% and September with -0.1% average return. 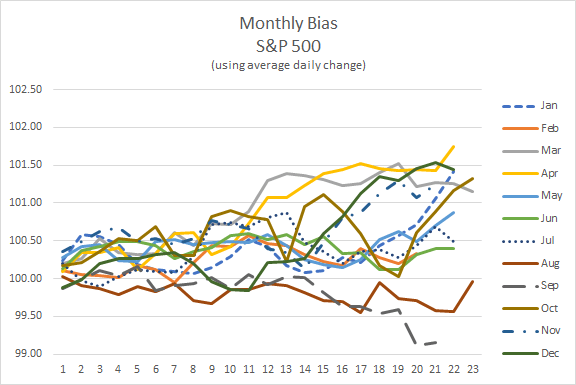 The month with lowest probability for a positive return is July with 51.6% followed by October and August. 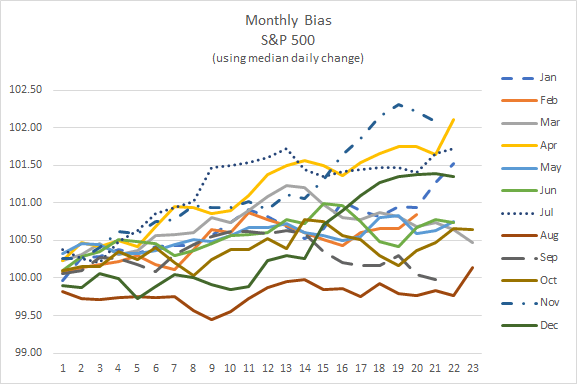 The spread between the mean and median returns is largest in October, which suggests greater unpredictability. September 12, 2017 in Market Commentary.